Iraq's Independent High Electoral Commission said Thursday that a manual recount of the May 12 parliamentary election results is compatible with the electronic count. In a statement, the commission said only one seat from the Baghdad Coalition moved to the Al-Fatih bloc, which belongs to the Hashd al-Shaabi-led coalition, increasing its seats to 48 as "minor differences" occurred. The commission will submit the final results to Iraq's Federal Court for approval. For more than two months, the results of Iraq’s hard-fought parliamentary polls have remained the subject of a bitter dispute amid widespread allegations of voter fraud. 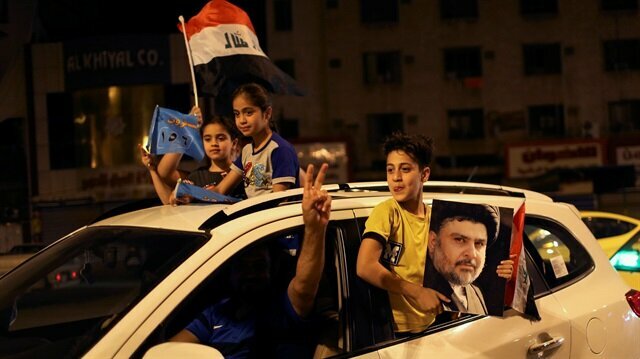 According to the results, Shia cleric Muqtada al-Sadr's Sairoon Coalition won 54 parliamentary seats, followed by a Hashd al-Shaabi-led coalition (47 seats) and Prime Minister Haider al-Abadi's Victory Bloc (42 seats). On June 6, members of Iraq’s outgoing parliament voted in favor of manually recounting all votes cast in the election. Once Iraq’s Federal Court approves the results of the just-concluded recount, incoming MPs will hold a first session to elect a new assembly speaker. Within 30 days of that first session, the assembly will elect -- by a two-thirds majority -- Iraq’s next president. Iraqi Prime Minister Haider al-Abadi on Thursday dismissed several Electricity Ministry officials and ordered sweeping reforms with the stated aim of improving public services.According to a statement issued by al-Abadi’s office, the move is aimed at “meeting the needs of the country and those of the Iraqi people”.Iraq urges Saudi, Canada to resolve diplomatic rowIn recent weeks, Iraq’s southern provinces have been rocked by demonstrations -- which have since spread to capital Baghdad -- to protest poor public services, high unemployment and chronic power shortages.Turkey, Iraq look to open new border crossingFollowing weeks of protests, al-Abadi suspended his electricity minister last month.For years, Iraqis have complained about the deteriorating condition of public utilities, including electricity and water, and a chronic lack of job opportunities in oil-rich parts of the country. The UN Secretary-General’s Special Representative for Iraq, Jan Kubis, on Wednesday called on political leaders to take advantage of the opportunity to create a "non-sectarian" national government in the country.Kubis was briefing leaders at a meeting of the UN Security Council on developments following Iraq’s general elections on May 12, saying complaints of electoral fraud and mismanagement had resulted in the decision to conduct a partial manual ballot recount which further delayed the establishment of a new government.UN official urges Israel to allow fuel into GazaHe pointed out that while the current government has made efforts to respond to popular demands and ease the hardship of people living in difficult situations, it has not been enough to fully address the needs of the Iraqi people. "I urge political leaders to listen to the voice of the people, seize the opportunity and accelerate the process of formation of a patriotic, inclusive and non-sectarian national government that will put all the rich resources of Iraq at the disposal and for the benefit of its people," Kubis said.He added that the immediate establishment of a new government in Iraq will accelerate political, economic and social reforms, and good governance will enable job creation and economic development as well as facilitate the fight against corruption.